Now this video should warm you up during those cold winter days. 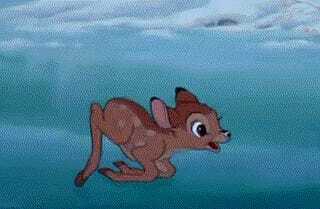 A father and son in Minnesota took out their (multiple) hovercrafts in order to save a few stranded, wobbly deer who couldn't get their way back off the ice. 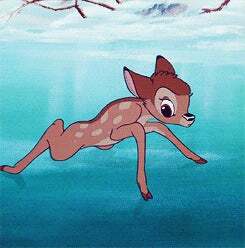 James Nolastname saw a Facebook post about a few deer stuck out on the frozen Albert Lea Lake, so he and his father got out the hovercraft and put it to good use. It's nice, plus the cheesy music will make you feel feelings. 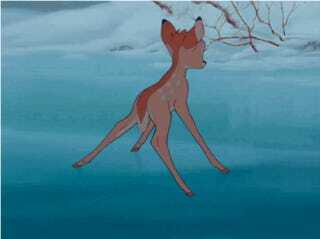 To celebrate here are some gifs of Bambi on ice.